Traveling in Ecuador with your family can be a safe and enjoyable experience. Family hotels are aimed at travelers with children. Accommodations often have multiple bedrooms, as well as common areas where the whole family can spend time together. What's more, these hotels may have facilities that will keep your family smiling — swimming pools, game rooms, playgrounds, and more. Hilton Colon Guayaquil is conveniently located only a few minutes from Guayaquil’s international airport. This hotel has all the upscale amenities that one would expect from the Hilton. Set up your basecamp at the Cotococha Amazon Lodge and immerse your senses in the lush landscape of the Ecuadorian Amazon. Guests at this lodge stay in bungalows that offer environmentally friendly shelter. Hotel Solymar prides itself on its views. Every room faces the waterfront, and the friendly animals that visit the hotel patio will allow you an up-close look at some of the island’s indigenous species. The Hilton Colon Quito is set within the La Mariscal district of Quito. The hotel is in a great location and has reliably comfortable rooms. Baños de Agua Santa is a small town set in the lush hills of the Cordillera Oriental. This is a popular destination for adventurous travelers, and an excellent basecamp for hiking in the surrounding forests. These accommodations are just a 10-minute walk from the beach. You’ll be in Puerto Baquerizo Moreno, where travelers can find a shopping center and access the island’s small airport. This hotel is named for La Laguna de Las Ninfas, the “Lake of Nymphs,” located a short distance from the hotel. It’s easy to imagine a supernatural creature in the colorful terrain that surrounds the hotel – a landscape full of exotic flowers and animals you won’t find anywhere else. JW Marriot Hotel is located near both the historic district and La Mariscal neighborhood in Quito. The hotel has super comfortable rooms and an impressive range of facilities. Hotel Villa Laguna sits on the edge of Puerto Ayora, one of the most populated cities in the Galápagos. This conveniently located hotel gives you quick access to the best sightseeing the island has to offer. Hotel Red Booby is located on Isla Santa Cruz in the Galápagos Islands. This hotel has clean, quiet rooms and serves up a great breakfast for guests each morning. At Hotel Mercure in Quito, you’ll be located in the new side of Quito, with lots of restaurants and parks within walking distance. Quito’s main attraction, the historic district, is only a 5 to 10 minute taxi ride from the hotel. Hotel Cuenca is a large hotel with spacious rooms. Built in the 1940s, this hotel has has a classic look that embodies the historic appeal of downtown Cuenca. Hotel Carvallo is a historic home, built in the late 19th century and recently transformed into a boutique hotel. Its will serve as a charming home base for your exploration of historic Cuenca. Staying at this ranch, you’ll get the best of both the city and country in Ecuador. Hacienda Caballo Compana offers its guests 28 acres (11 ha) of pastoral beauty, a short distance from downtown Cuenca. When we used to enjoy what was once our family vacations house, we didn’t know that our destiny was the magic of hospitality. Today we have 20 rooms that have evolved since 2007 when our life as a hotel started, reaching standards in service and expertise that guarantee a super and friendly stay. Located just minutes from the airport, Courtyard by Marriott will welcome you to Guayaquil just a few minutes after you step off the plane. 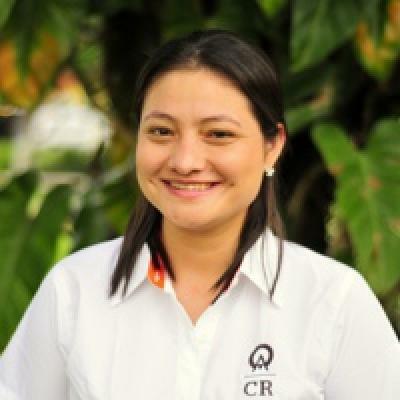 The friendly staff here will make you feel welcome in your home-away-from-home in Ecuador. As the name suggests, Casa Playa Mann Hostal is just a few steps away from the beach. It offers just 9 rooms, creating a boutique feel for this sandy escape. There’s a lovely shared sitting area that overlooks the ocean, and many of the rooms offer a view of the ocean. Staying in one of IsaMar’s beautiful suites on Isabela is more than a relaxing vacation in a tropical paradise. This one-million-year old island offers endless opportunities to witness awe-inspiring volcanic geography and to personally connect with wildlife unlike any other place on the planet. By spending your nights with IsaMar, we guarantee your travels to be complete while experiencing the magic of the Galapagos. You will have the upmost comfort while sleeping to the sounds of the waves, an excellent sea side location for leisurely walking to the beach, top notch service, gourmet meals and cozy lounge areas for relaxing and sharing your experiences after a day full of adventure. This hotel has its own slice of the waterfront, set apart from the other hotels that line the shores of Santa Cruz. Looking out over the shoreline, you’ll see exotic birds and iguanas in their natural habitat. Victor Hugo Hotel sits right next to the bay of Puerto Lopez, tantalizingly close to where the humpback whales migrate with their calves from June to September. The active marine life makes this a popular area for boating tours as well as fishing trips. Hotel Canoa's Wonderland offers the best place for your stay in Canoa, with its impeccable rooms, relaxing and beautiful areas, and friendly and extensive service. The hotel is right on the beach, a few blocks away from the city center. Hotel Canoa's Wonderland has 20 rooms in total with air conditioning, all with private bathroom, hot water, television with cable and balcony. We also have a swimming pool, spa, restaurant, parking space and wifi internet. Red Mangrove Lodge is located in Puerto Ayora, Santa Cruz – the largest town on the main island of the Galápagos. On this island, you’ll find a wide range of attractions, first brought to the world’s attention by Charles Darwin. Montañita Estates puts you a short distance from the sun and the surf that have made Montañita one of Ecuador’s most popular beach towns. This hotel will cater to the beach bum and the gourmand – there’s something here for every type of hedonist. One of the first Amazon rainforest lodges in Ecuador, the award winning La Selva was completely remodeled and reopened in July of 2012 and has since become the premier eco lodge in the Ecuadorian Amazon. La Selva Amazon Ecolodge & Spa is located in a rainforest paradise bordering Yasuni National Park in one of the most biodiverse areas of the planet.